Jimi Hendrix at Miami Pop Festival May 18, 1968. Hurricane season begins June 1 and director of the National Hurricane Center Ken Graham, who recently spoke at the 32nd Annual Governor’s Hurricane Conference, joins Sundial. The conference is held before the start of each hurricane season and offers sessions on hurricane preparedness and communication. Sundial spoke to Graham about the conference and the need for awareness around how climate change intensifies storms. And Lena Jackson is a documentary filmmaker and reporter who recently partnered with the Miami Herald on a story investigating the educational experiences of recently arrived immigrant students in Miami-Dade Schools. She spoke to Sundial about the schools district’s Spanish-language GED programs that are forced upon immigrant teens when they underperform in regular classrooms. Did you know that Miami hosted the East Coast's first ever rock festival, in 1968? 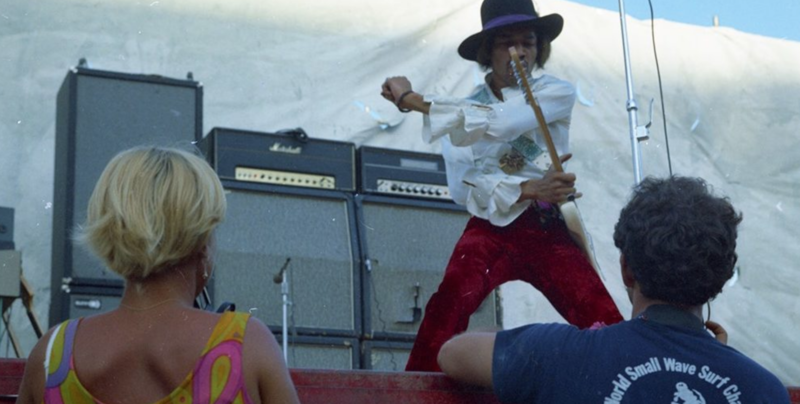 Ken Davidoff photographed the Miami Pop Festival at Gulfstream Park, and talks to Sundial about photographing Jimi Hendrix there. Beginning May 18, on the festival’s 50th anniversary, History Miami will exhibit Davidoff’s photographs and celebrate the festival. Davidoff will speak tomorrow at the exhibit's grand opening - along with Hendrix’s brother Leon. Success Management Academies were created in 2006 with an honorable intent that was predicated on assisting newly-arrived students who would not graduate on time or graduate at all. Language barriers are always a difficult obstacle for students who are required to pass state-mandated assessments in English. Therefore, by providing an additional option to receive a high school equivalent diploma in their native language, immigrant students can pursue numerous post-secondary opportunities with their peers.